This is a Complete FDD Download with the addendums and exhibits. The text is redlined and shows additions and deletions from the previously issued FDD Download. This is a Partial FDD Download. Each FDD Download may be different; however, most cases it will include Items 1 through 23 but not the addendums and/or exhibits. The text is redlined and shows the additions and deletions from the previously issued FDD Download. The FDD Download Store allows users to search, review and buy a Franchise Disclosure Document (FDD Download) for Download in PDF format. Once you complete the purchase, you will be taken to a ‘Completed Purchase’ screen and permitted to ‘Download’ your purchased FDD Download in PDF format. You will also receive an Email with a ‘Direct Download Link’ for your records. 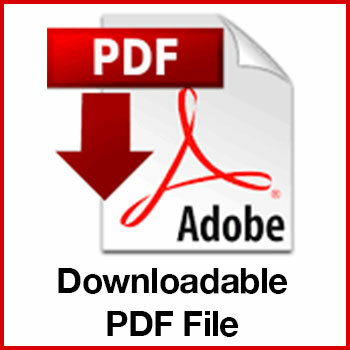 Files purchased from the FDD Download Store are made available to purchasers in Adobe PDF Format, you will need Adobe Acrobat reader to view & print these files. We strongly recommend that you review which version of Acrobat Reader you have installed and update it to at least VERSION 10.0. Acrobat Reader is a FREE Plugin that should already be on your computer, however, you can download the latest version here for free.